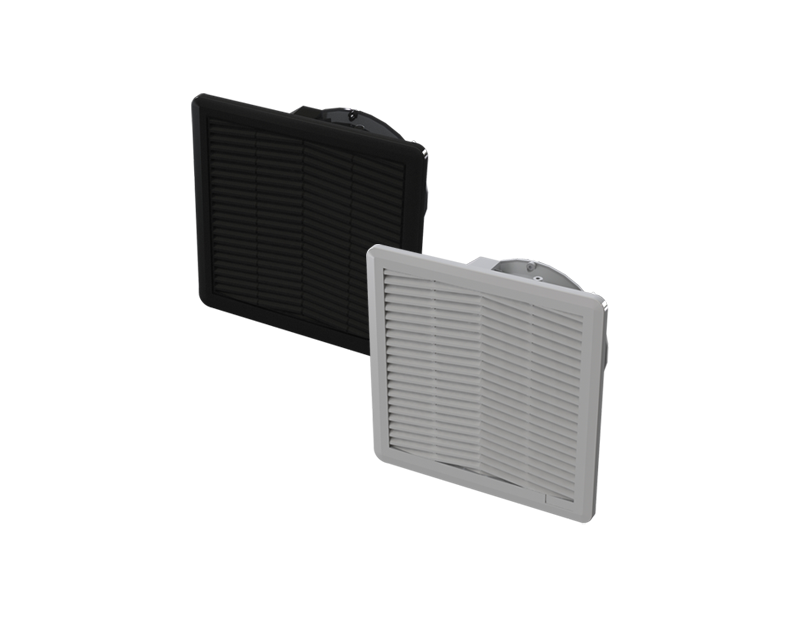 SCE has expanded the selection of Fans and Exhaust Filters we have to offer in our line Enviro-Therm® thermal products: Type 12 Fans and Filter packages in RAL 7035 Gray, as well as Type 3R Fans and Filter packages. The RAL 7035 gray Type 12 Fans and Exhaust Filters are for use in NEMA 1 and 12 applications, with a snap design for easy installation. The housing and grille are made of light gray heat resistant (ABS-FR), self-extinguishing material. The fans are available in 115 volt AC, 60/50 Hertz (HZ) single phase or 24 volt DC. The new 3R Filter Fans and Exhaust Filters are an easy to install snap fit design for use in enclosures that require cooling but have limited space in NEMA 3R applica­tions. The grille is made of black UV and water resistant, self-extinguishing PVC material, and the housing is made of ABS material with steel inner guard for increased impact resistance. The fans are available in 115, 230 volt AC 50/60 (Hz). For further product information view the new fans on our website, Type 12 – RAL 7035 Gray or Type 3R, and contact your sales rep for a quote today!